White willow bark herb- loose and in convenient teabag form- see below for brewing instructions. This is the real alternative to taking Aspirin, the natural way without the risks. 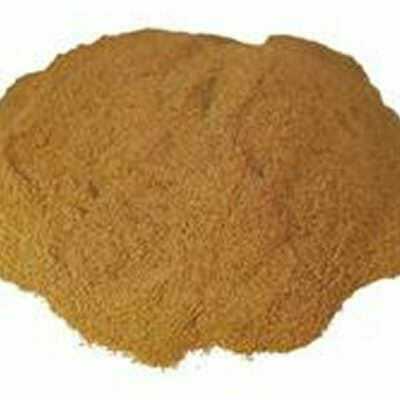 White willow bark is a natural source of a type of salicylate,such as is found in Aspirin. The whole herb works similarly to Aspirin and can be used for similar purposes. It does not work as quickly as Aspirin, but does not irritate the stomach as Aspirin can. Salicylates reduce pain and inflammation. If you are prescribed Aspirin to aid blood thinning, please do not stop taking the Aspirin, but ask your doctor BEFORE you take this herb whether or not it is suitable. In all cases, always consult a qualified medical practitioner if you are unsure about ingesting any herb BEFORE you start taking them. Do not give to children under 16 years if age. Because of the danger of developing Reye syndrome (a rare but serious illness associated with the use of aspirin in children), children under the age of 16 should not be given willow bark. Side effects tend to be mild. However, stomach upset, ulcers and stomach bleeding are potential side effects of all compounds containing salicylates. 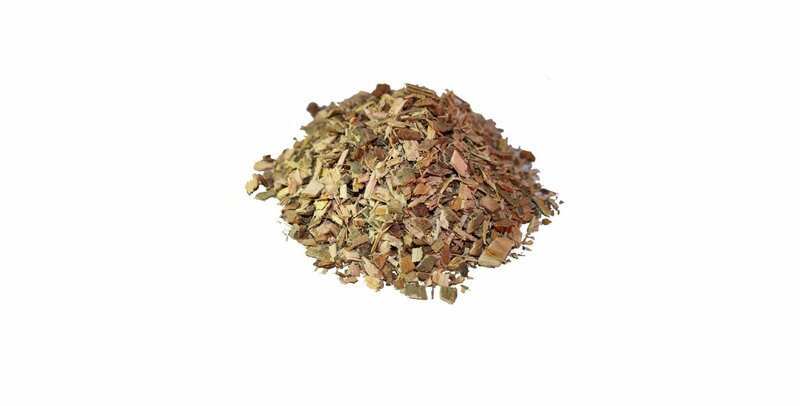 Overdoses of willow bark may cause skin rash, stomach inflammation/irritation, nausea, vomiting, kidney inflammation, and tinnitus (ringing in the ears). 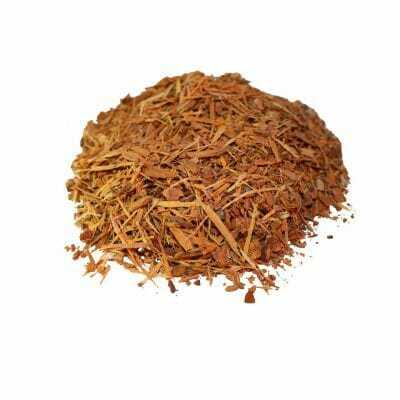 It is always best to first boil the bark (make a decoction) so as to extract the maximum benefit from this herb. You can, of course, prepare several days worth of herbal Tea infusion at one go. Drink 2 to 3 times per day, morning, afternoon and evening is a recommended time. You then simply reheat the required quantity each day as required. This can be taken either hot or cold. Use 1 heaped Tablespoon of bark per cup required (if you are preparing several days brew, calculate the required quantity of 1 heaped Tablespoon per cup). Remove from the heat and allow to infuse for a further 30 minutes. If preparing several days in advance, place the remainder into a sealed container and store in the refrigerator until required. This is a somewhat bitter drink, so a sweetener may be added, such as Honey or our own Natural Palm Sugar. Try a slice of Lemon if preferred. You can also use Cinnamon (either sticks or powder) by adding this at the infusing stage, as this helps to make the taste more palatable. Use 1 Teabag per cup required (if you are preparing several days brew, calculate the required quantity @ one Teabag per cup). Remove from the heat and allow to infuse for a further 30 minutes. Pour into a cup and enjoy.